This festive and fun healthy halloween treat recipe will get your whole family into party spirit! Whether you’re throwing a party or looking for fun treats kids can make, this easy healthy halloween treat recipe will make everyone falling under it’s spell. I usually find Halloween a little harrowing. Bucket- loads of sweets in every child’s hand are my words nightmare. I usually hide half their exploits and make them secretly disappear trying to reduce the excessive sugar overload. So not my personal favourite season, but the kids love it and I do love a bit of face-painting too (and I’m quite good at it actually!). 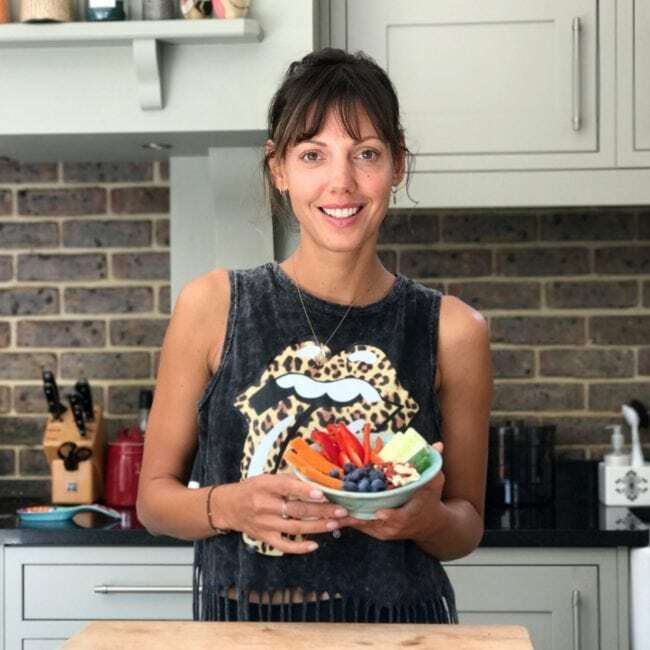 If you have a healthy energy ball or bar recipe that you make and love use yours, alternatively you can try mine: I’ve used dried figs and ground almonds with a few other bits and the texture and taste was yummy! If you feel that your mixture needs to be a little more sticky you could add a couple of teaspoons of water with the motor running. Roll into little balls, flatten out and roll into sticks and then add bits of flaked almonds and fingernails. Done! 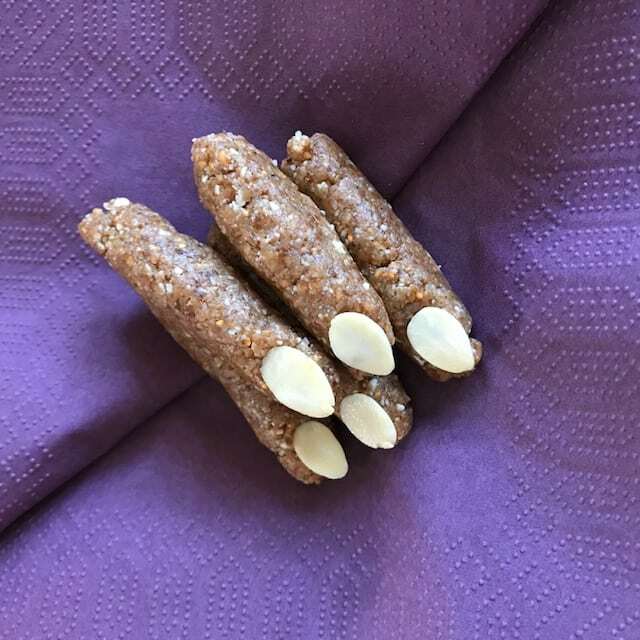 Previous Post No nut, no bake energy snack bars Next Post Christmas Wishes to each one of you!